How do you use python? Pure python is good, but realistically you’ll need to install it with some common pieces of code for handling tasks (packages), things like data analysis, scraping URLs or regular expressions. It’s easy to make mistakes when installing python and that’s why we’re going to just install Anaconda to accomplish this. 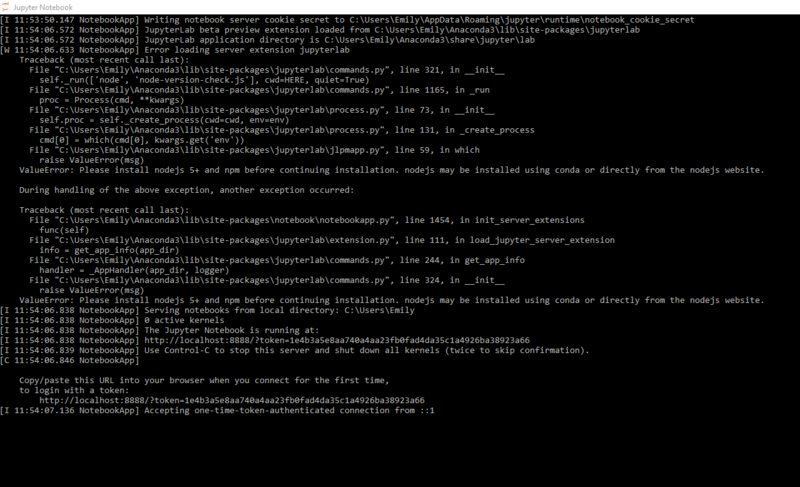 This will install python as well as lot of the common packages you’ll need. People who have never done anything with Python on their computer. If you’ve fiddled with in the past, then there’s no guarantee any of this will work. It might, but you could also hit an edge case. You want to pick Python 3 and the correct version of Windows for you. If you’re not sure if you’re on 64-bit or 32-bit windows you can check here. Install only for your user. Add Anaconda to the PATH. - Although this is not recommended, this can prevent some issues when blindly following instructions on the internet. Which lets face it, is what we’ll be doing. It may ask you to install Visual Studio during the install process. Say yes. Important: You’ve also opened python on the command line. Just to be safe close it. You do that by typing exit(). You want to pick Python 3 and the GUI installer. Add Anaconda to the PATH. Mac’s already come with Python, but if you’re blindly following instructions on the internet (which lets face it, is what we’ll be doing this can solve some problems. You open up a Jupyter Notebook and run code in there. The first is quite self-explanatory. The second needs a little more explanation. One of the best things that Anaconda installs is Jupyter Notebooks. 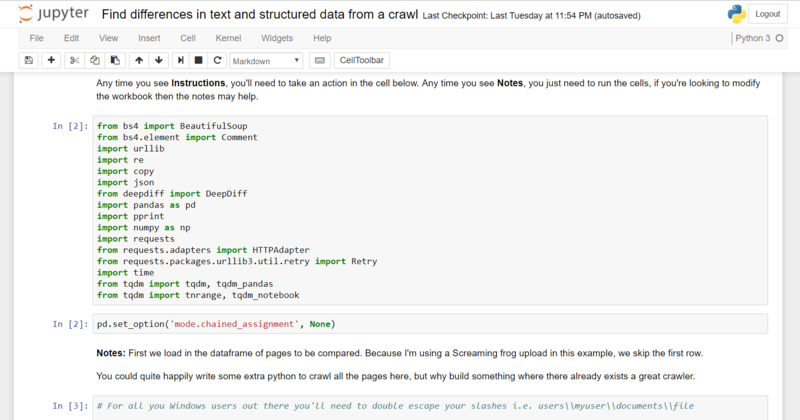 Opening up a command line (cmd or terminal) and typing in jupyter notebook. Then a command line window will open up, this is just Jupyter notebook opening, don’t panic. Jupyter notebook will then automatically open in your browser. You navigate to the folder where you want to create a notebook and then click create. (Or click an existing one). What loads is an interactive code environment. You can run each cell of code using Ctrl/Cmd + Enter and then the output will print out below. You press enter on a cell to change the cell and type into it. You press escape to be able to move up and down with the arrow keys and select cells. It’s fantastic for data analysis and there are plenty of useful SEO notebooks I’ll be sharing in the future! There’s plenty more to learn, but hopefully that’s enough to get you started!